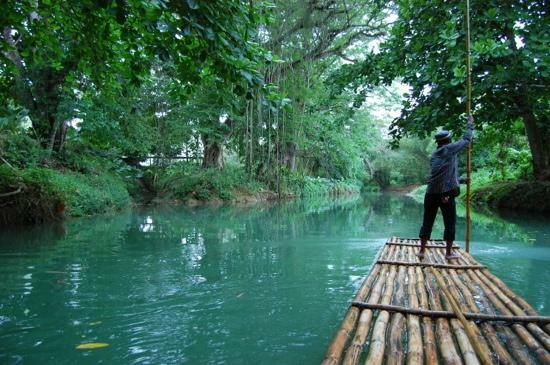 Rafting on the Martha Brae, the island’s #1 rafting attraction is located approximately three miles inland from the town of Falmouth, birthplace of one of Jamaica’s former Prime Minister, Hugh Shearer. 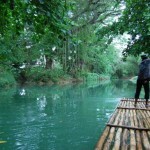 The attraction is a mere twenty miles from Montego Bay and forty miles from Ocho Rios. The embarkation area, “Rafter’s Village”, encompasses six acres of beautifully manicured lawns situated on a natural horseshoe island. It offers a fully appointed recreational facility which includes picnic grounds, a full service bar, two souvenir shops, swimming pool and modern restrooms. Before embarking on the tour, guests can also take a stroll through “Miss Martha’s Herb Garden”, a presentation of Jamaica’s herbs famous for their medicinal and healing properties. 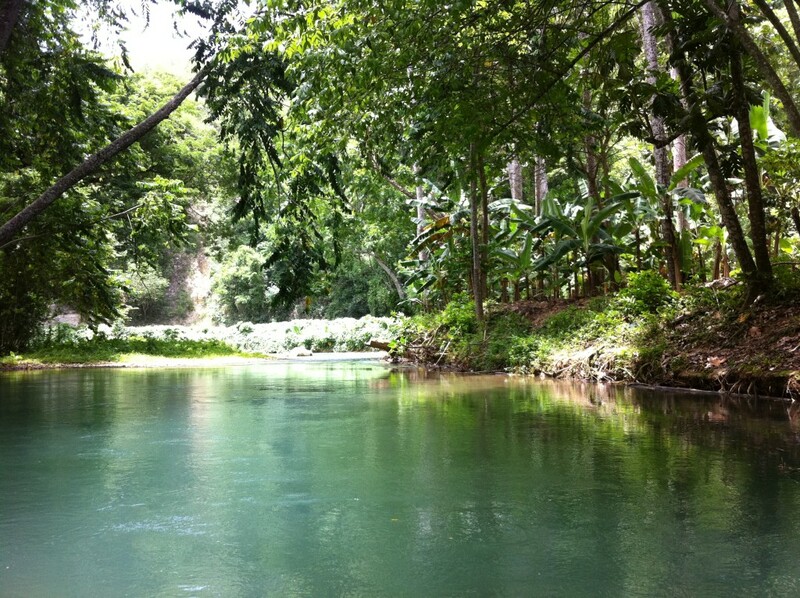 Established forty years ago, Rafting on the Martha Brae boasts a complement of eighty five licensed and experienced raft captains. 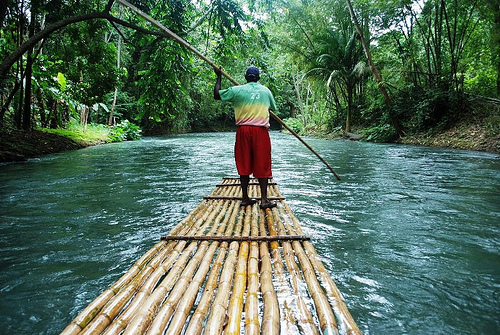 Thirty-foot long bamboo rafts are boarded from a concrete pier, under the supervision of a licensed dispatcher. 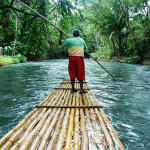 The raft ride is operated over a three mile stretch of the beautiful Martha Brae river and lasts approximately one hour. 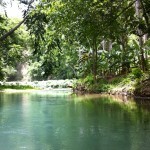 Once on the raft, guests can learn about “The Legend of Martha Brae” or enjoy an exhilarating swim. The attraction has over the years played host to a number of celebrities including HRH Queen Elizabeth II, heavy weight champion Lennox Lewis, Chuck Norris, Dionne Warwick, Spike Lee, former NBA star Patrick Ewing, Jane Seymour of “Doctor Quinn- Medicine Woman” fame, Kenny Rodgers, the late Johnny cash and world 100 meter champion Usain Bolt. The disembarkation area Known as “Martha’s Rest” also offers a souvenir shop, bar, lounge area and restrooms. There is adequate parking for buses waiting to pick up rafters.